« Did Universal Orlando Leak The Closing of Shrek 4-D? Welcome back to our series where we crack open Universal Orlando’s crystal ball. 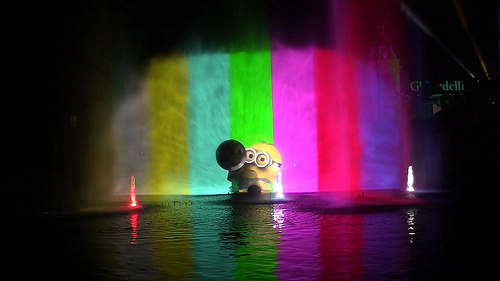 Today we focus on the new nighttime spectacular headed to Universal Studios Florida! 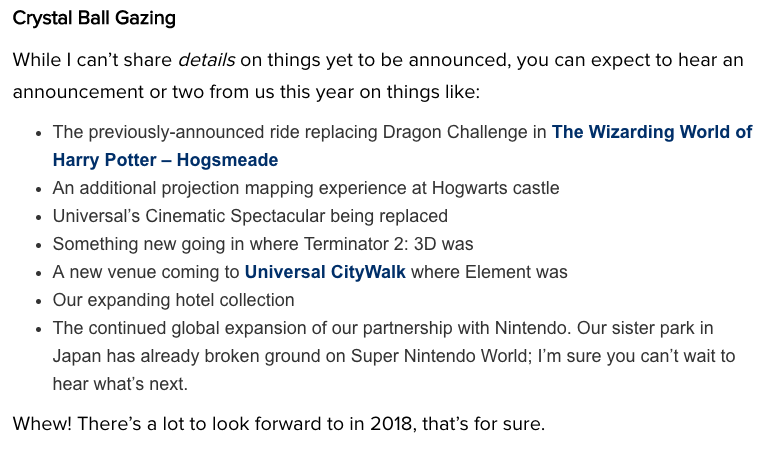 For those of you who don’t know what I’m talking about, the Universal Orlando Resort press team released a story on their official blog where they gave a “crystal ball” glimpse into announcements that would be made throughout 2018. Let’s take a look. For those of you keeping score, we correctly predicted two of these items in our previous stories. The addition of VooDoo Donuts and the projection show on Hogwarts Castle at Islands of Adventure. Today we are going to tackle that new show replacing Universal’s Cinematic Spectacular in the lagoon at Universal Studios Florida. First, to understand what is going to the lagoon, let’s take a step back and look at what was there in the past. 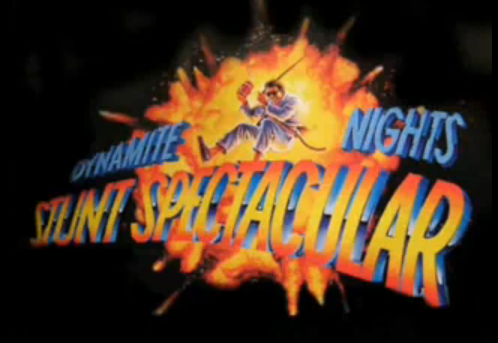 While we could certainly start with the original Dynamite Nights Stunt Spectacular (based on the hit 80’s show Miami Vice), today we are going to focus on the shows that followed this particular version. Dynamite Nights was indeed a lagoon show, but it was more of a stunt show than a nighttime event. It usually took place several times a day, but was best viewed in the evening when the pyrotechnics and fireball explosions really popped! 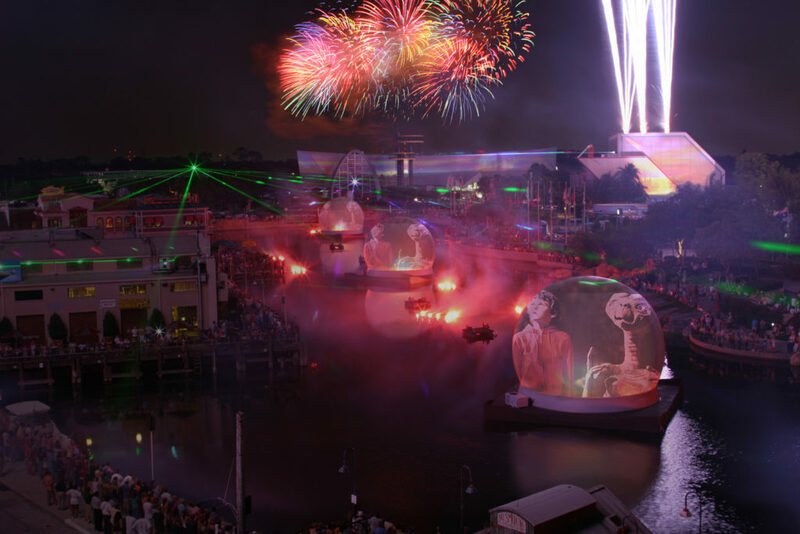 Starting in 2006, Universal Cinesphere 360 show debuted with scenes from Universal Picture’s most memorable films… on giant floating balls? Yup, while the idea may have looked good on paper, the reality is the concept never really took off. Film clips look distorted due to the wrap-around nature of the screens. However, it’s that idea that has stuck ever since: a celebration of Universal films. Taking a page from Disney down the road, Universal created a show that paid tribute to multiple hit movies from their extensive vault and the concept clearly resonated with audiences. Fast forward to 2012 when the company was celebrating 100 years of movie making with what was arguably their greatest nighttime show to date: Universal’s Cinematic Spectacular. Not only were mist projections and fountains added to the show and gone were those strange floating balls. Now, the park was using new rain screen technology that looked like… well… a movie screen. Enhancing the map projections and more pyrotechnics also seemed to be a major hit with park guests. Cinematic Spectacular was so very well received that it ran beyond the studio’s 100 year anniversary. Why? It was an emotional connection. This particular show hit all the right notes. It was sentimental, nostalgic, beautiful and gave you all the feels. Frankly, this tone is something that Universal should be striving for more often. It is with this notion that their new show will continue that tradition in a truly epic way. Unfortunately, as cool as the rain screens were for Cinematic Spectacular, they had to go. The problem is, on particularly windy nights, the screens became somewhat distorted when the water wouldn’t fall down, but rather outwards and the picture became warped. More importantly, the system used to create those rain screens is a pesky one. The water coming through pipes was pressurized down had to be filtered and free of debris. Anyone can tell you in Florida, treating water is a painstaking process. It’s my understanding that the maintenance on those rain screens was a nightmare and thus, they got cut from the new show and have already been removed from the lagoon. However, the mist screens and pyrotechnics around the rooftops of the lagoon are definitely still staying. Since the rain screens are gone, I predict the fountains within the lagoon will get quite a small upgrade, but nothing too over the top. What will the major difference be? I predict content. Let’s face it, the mouse down the street owns nostalgia. You see it all the time, commercials celebrating generations of families gathering at the “most magical place on earth” as a family tradition. But what about the families that have now been going to Universal Orlando for over 25 years? Don’t they deserve a show celebrating how great their own park is? I predict this new show will focus on not only some great Universal films, but also a bit of what makes Universal Orlando so great too. Let’s face it, since Universal Cinematic Spectacular, there have been several films that have been mega-hits that need to be in this new show. Instead of a show that features a few great blockbusters with film clips as buffer, why not JUST focus on the good stuff? 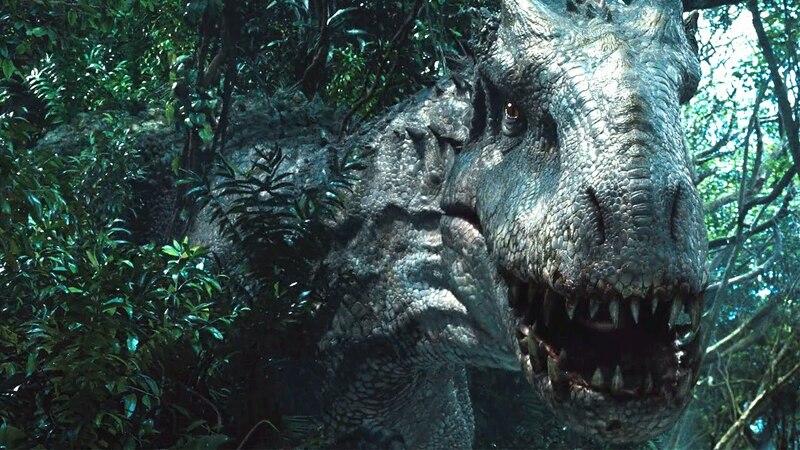 I predict that Jurassic World will get its own sequence (it only makes sense with the new movie coming out this Summer). Not to mention, I also sense that Fast & Furious will also be featured prominently in this show since the new attraction will be open this summer as well. Side note – this show should be announced pretty close to the opening date of Fast & Furious Supercharged so they can have a media event promoting both attractions the same day. When will that be? Not sure, I’ve heard Supercharged is having a few technical challenges. More on that in a future article. Also, what about those attractions that make the park so special that aren’t owned by Universal Pictures? 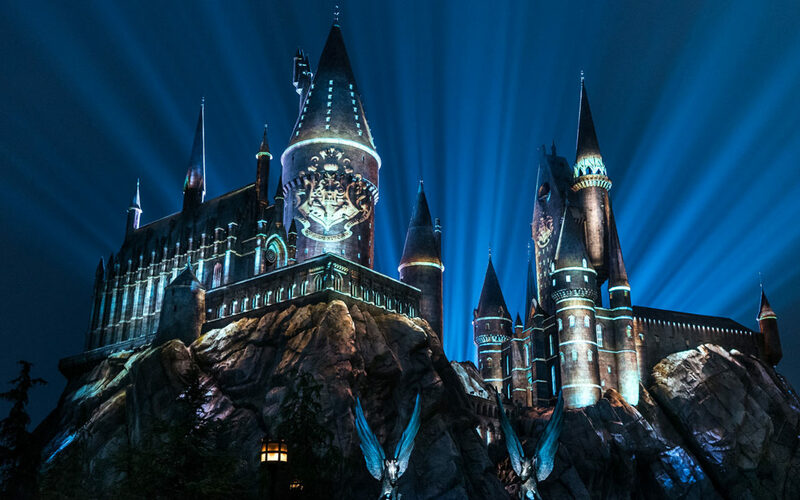 How can you not celebrate the Wizarding World of Harry Potter? Scenes from the Hogwarts Express, Hogsmeade and even Harry himself seem like a perfect fit. Not to mention (t’s right there on the lagoon): Transformers! It is one of the most popular attractions in the park. Sure, these probably require a separate agreement from Warner Brothers and Paramount, but I don’t think it’s out of the question to create sequences featuring these popular film franchises and thus, their importance at Universal Orlando. Finally, if there ever was a chance to officially bring Dreamworks into the parks (now that Universal owns them), it’s this show. Sure, you still have to pay tribute to Illumination films like Despicable Me, The Secret Life of Pets and Sing. But really, this is the perfect opportunity to welcome Dreamworks into the Universal theme park family. I predict we will see sequences featuring Trolls, Kung Fu Panda and of course, Shrek. Let’s see how my prediction shakes out. 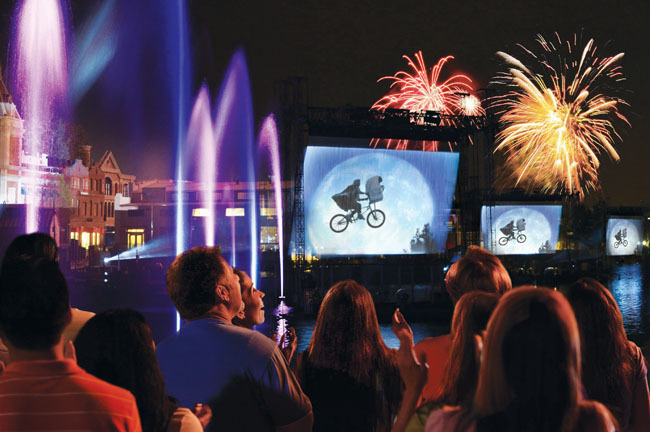 As much as I personally loved Cinematic Spectacular, I predict that this particular Universal Orlando nighttime spectacular show is going to be EPIC! This entry was posted in Universal and tagged Universal 360, Universal Epic, Universal fireworks show, Universal Nighttime Lagoon Show, Universal Spectacular, Universal Studios Florida. Bookmark the permalink. Trackbacks are closed, but you can post a comment.